Need to produce some flyers? Want to draw up a logo for a band? Does your local speed shop need a T-shirt design? Don't want to use the same old computer fonts? 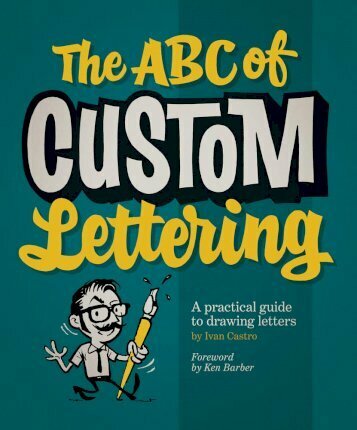 Well let graphic designer and typography teacher Ivan Castro show you The ABC of Custom Lettering. This practical and inspirational workbook features easy-to-follow, step-by-step instructions for hand drawing a range of letterforms, from Modern Roman and Gothic through to Latin, Script, and Interlocked. Offering traditional instruction methods with a modern twist, this reference also comes with gallery sections for inspiration and accompanying projects to practice your technique.